A spectacular and lucky sight to behind, a breaching orca! The orca arches its back as it heads back towards the water with a BC mountain backdrop. 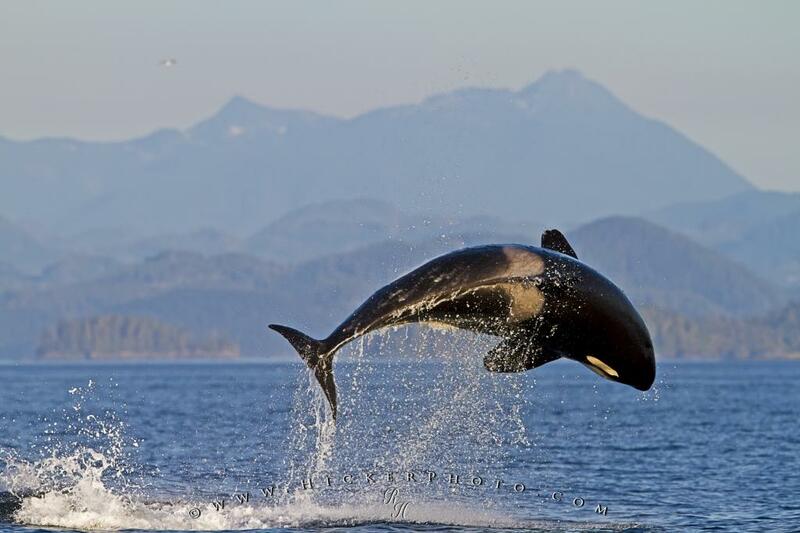 A large adult orca puts on a spectacular scene as it breaches off the coast to Vancouver Island near Malcolm in British Columbia, Canada. Transient killer whales (orca, Orcinus orca, T30's & T137's) after killing a sea lion off Malcolm Island near Donegal Head, British Columbia, Canada. A spectacular breaching transient orca whale off the coast of Vancouver Island, BC, Canada.